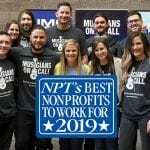 Musicians On Call has launched their program in Dallas, TX with the help of E Street Band guitarist Nils Lofgren, his wife Amy, and accordion player Charlie Giordano who performed for over 100 patients, families and caregivers at Children’s Medical Center Dallas, the flagship hospital of Children’s Health. The intimate acoustic performance follows the band’s sold-out show at Dallas’ American Airlines Center, as part of Bruce Springsteen and the E Street Band’s The River Tour 2016. 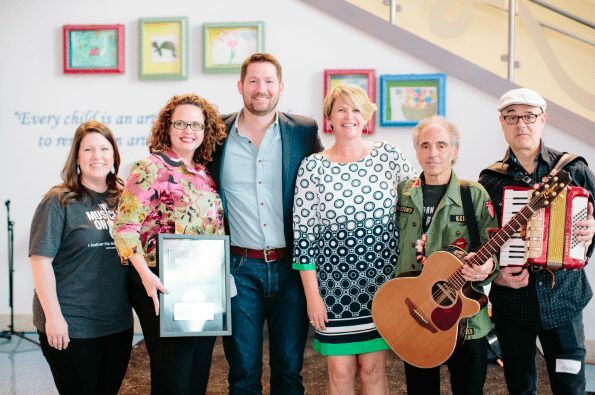 To celebrate the new city launch, Nils and Charlie performed for patients and staff in the hospital’s butterfly atrium, where MOC President Pete Griffin presented Thresa Belcher, Children’s Health director of child life and social work, with a plaque commemorating the new partnership. 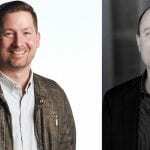 Following the atrium celebration, Nils and Charlie performed a special Bedside Performance Program where they went room to room to perform for those unable to make it to the group performance. 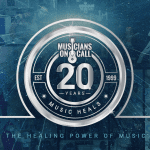 Dallas marks the 18th city that MOC has brought the healing power of music to including New York, Miami, Nashville, Philadelphia, Los Angeles, Denver, Washington D.C., Baltimore, Denver and Atlanta. To date, MOC volunteers have performed for nearly half a million patients, families and caregivers and climbing. Bruce Springsteen and the E Street Band have a longstanding relationship with Musicians On Call and its sister organization, the Kristen Ann Carr Fund. Together, they are hosting an auction where supporters can bid on tickets to The River Tour 2016.